A small silent-movie theatre that lived a short life in the early decades of the 20th Century. 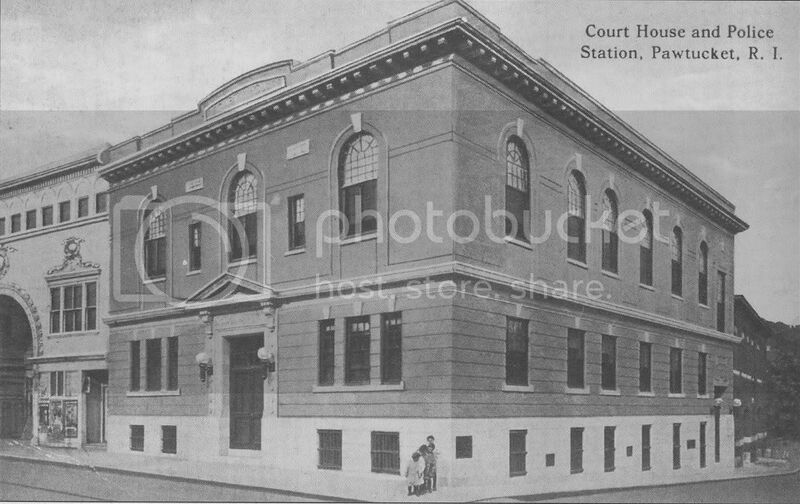 It was located on North Main Street (now known as Roosevelt Avenue) and was next to the court house/police station building. A photo survives. Here is a photo of the Crown, or at least the right side of it, from an old postcard that features the court house/police station to the right of it. Expand the image for better resolution. A 1928 city directory lists a “Star Theatre” as existing at 116 North Main Street. Might the Star and the Crown have been one and the same?